"The real killer for me was that every search gave me zillions of irrelevant hits. That, together with a paucity of Scottish data, means that it is never going to be worth my while trying to use it." This quote comes from an email sent to me by Ray Hennessy, an experienced genealogist in Scotland who maintains the What's In A Name website. He made this comment after reading my Ancestry.com review, and discussing with me some of the difficulties I have encountered building my own Lamont family tree (I am using his comment with permission). When I heard this, I was not at all surprised. 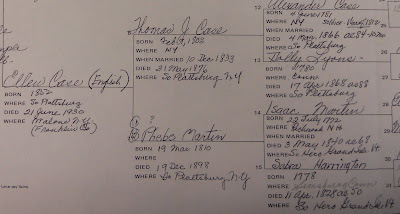 I've been working on my family tree off and on for the past 15 years, and am very familiar with the limitations of using databases (online and offline) to build out a family tree. Lamont is a Scottish surname, and we confirmed the Scottish connection through family sources and public documents, including obituaries and birth records. I began using online sources for research in the 1990s, and tried Ancestry.com for the first time in 2008. I revisited Ancestry again late last year after receiving a trial offer that urged me to explore a new batch of U.S. military records that they had posted. The online military records were a huge waste of time. Despite easy access, I've had much more productive sessions in phone or face-to-face interviews with relatives, examining letters and photographs from family members, and visiting local government offices. Ancestry.com and other online databases such as Rootsweb have been of limited use. The "zillions of irrelevant hits" problem is only part of the story. Other problems include an emphasis on censuses and other lists (ship registers, military rosters, etc.) as opposed to photographs, local histories, and trend data relating to health/immigration/economy. The databases also fail to provide mechanisms to connect or correlate names, despite statistical and algorithm-driven methods to piece together likely connections. Sometimes, family trees submitted by other people help connect the dots, but often the trees are poorly documented or contain significant errors. But there's another issue at work here, too: A database is only as good as the data that's put into it. If you can exclude the irrelevant hits, an 1870 census record might be a starting point, but the best stuff is to be found in church registers, county historians' offices and the humble town clerk -- sources which are almost never digitized or shared online. 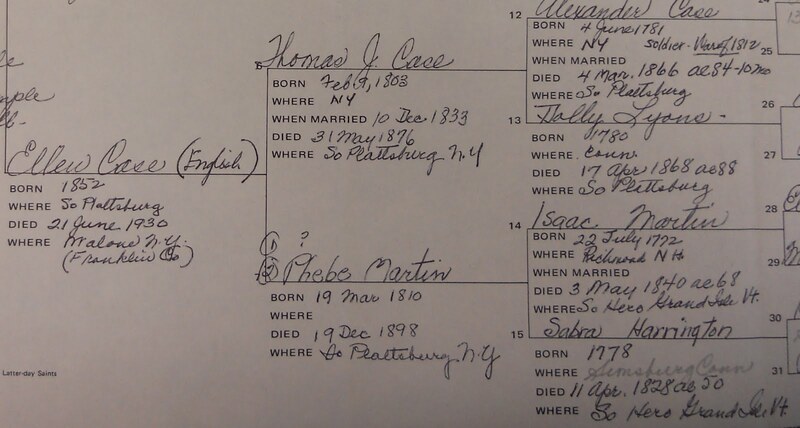 Image: Portion of a handwritten family tree kept on file in the Clinton County, NY, Historian's Office. However, Ancestry.com is a tool, and like any tool, if used properly can be useful. For fleshing out basic info that can be found in a census or SSN database to verify kinship or dates, it works well. There is no need to use finer tools for that type of blunt work. If you keep your level of expectation geared to what the tool is supposed to provide then you don't waste time trying to make a hammer be a screw driver, and you don't ruin your screw driver hammering nails! Thanks Kate. You're absolutely right; it is a tool best suited to certain purposes. But I have two additional insights to share. One, I think there are many people out there who mistakenly assume that Ancestry.com and other online sources are good places to start the genealogy journey, or assume that there's lots of data in there that pertains to their families. It's convenient, so it becomes the go-to resource, even when much better resources exist in the offline world. Rather than spending 10 hours searching through the databases, a better use of their time would be to pick up the phone and spend an hour with an elderly relative who can flesh out details that will never be seen online. Ancestry.com's role is best suited to (as you said) verification, rather than discovery. "We've spent more than a decade building the world's largest online family history resource - including historical records, photos, stories, family trees and a collaborative community of millions." When I look at Ancestry, what I see is an imperfect list of historical records that's hard to sort through. I've never been pointed to photos or stories -- why promote this if it's not a central part of what they offer?